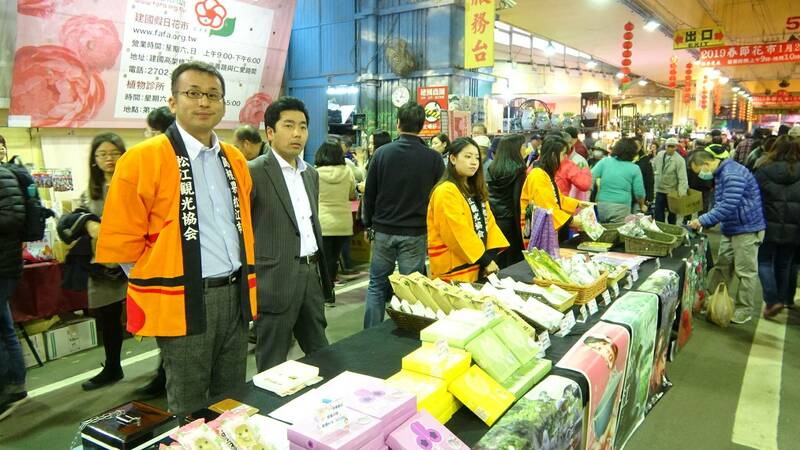 On the afternoon of January 26, 2019, Mayor Ko Wen-je arrived at the Houhuadi shopping district for a pre-new-year visit. He pointed out that the area behind Taipei Main Station used be no more than the city’s bargain shopping district, but these days he’s pleased to see how it has grown into three distinct areas: Taipei Main Rear Station, Huayin Street, and the underground Taipei City Mall, each of which is developing well in their own right. He expressed his confidence that the Taipei Twin Towers, once completed, will contribute to the prosperity of the area. Ko said that the Taipei Twin Towers is one of Taipei’s most important development projects in the coming decade. If everything moves quickly, construction may start this year. In a remark aimed at the Department of Urban Development (DUD), he noted that when this NT$ 60 billion (USD 2 billion) development starts construction, it should be coordinated with the overall urban development of the entire area behind the station. The Taipei Twin Towers should be planned in connection with the Taipei Main Rear Station underpass in order to create maximum prosperity for the whole area comprising the Taipei Main Rear Station, Huayin Street, and Taipei City Mall. In addition, Ko said that he had been informed that the Railway Museum and the Postal Museum will probably open in 2019. Currently, only locations E1 and E2 are still vacant. They could talk to the Taiwan Railway Administration to see how E1 and E2 could be developed. This would work like a capstone to the entire West District Gateway Project, with Taipei Twin Towers being the “only” piece to be completed. The mayor also pointed out that over the past three years, the main lanterns of Taipei Lantern Festival were all installed in the Ximending area. 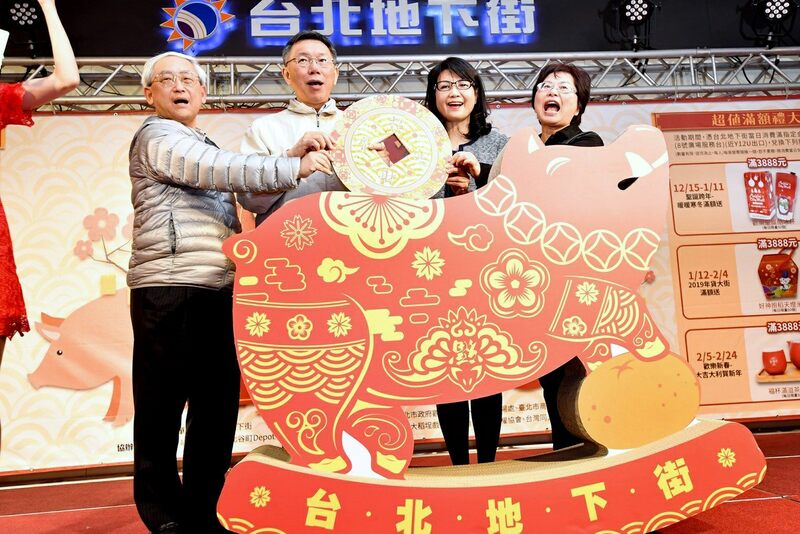 One of the two centerpieces of this year’s lantern festival will be placed at the Taipei Travel Plaza in an effort to pull the crowds northward. He expressed confidence that the crowds will spill over to the Houhuadi shopping district, hopefully adding buzz and a boost to the entire area. Since there were many children and young people at the event, the mayor mentioned that the Houhuadi shopping district is now an important wholesale area for toys, fashion, and general merchandise. It is also an important wholesaling spot for ICT products. Especially around Chinese New Year’s, many shops will have lotteries offering many prizes. This year, prizes include eight pigs of pure gold and round-trip tickets to Okinawa, Japan, plus stays in five-star hotels. The mayor welcomed everyone to shop at the district and wished them luck in the raffles, as well as good fortune in the Year of the Pig.